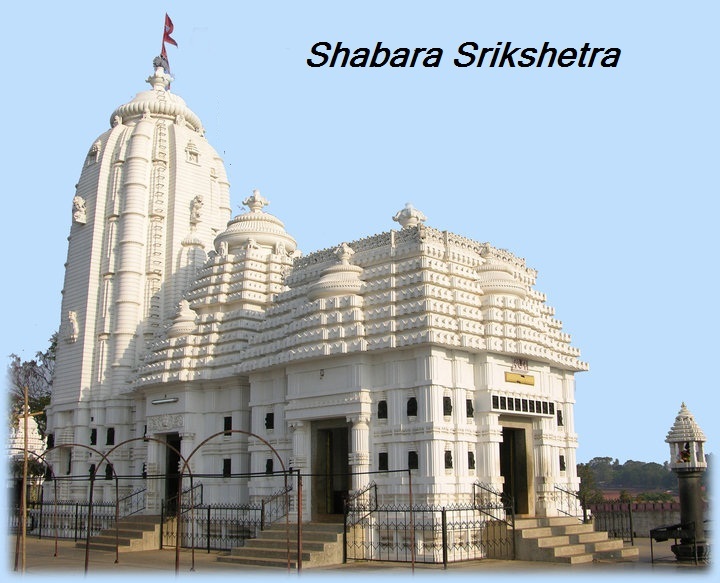 Sabar Srikshetra means the Srikshetra of Sabar Peoples in Orissa / Odisha where a beautiful Jagannath Temple has been built at a height of 940 mts above the sea level located in Koraput town of Orissa / Odisha, which permits entry to people irrespective of their religion, caste and creed. The nomenclature is being made because of the reason that Lord Jagannath was discovered and worshipped here by the members of the primitive tribe called the `Sabaras'. The Rath Yatra here is unique for the overwhelming participation of the local tribes. Various tribes like the Bonda, Koya, Lanjia Saura and Paraja also worship Lord Jagannath in the temple and actively take part in the Rath Yatra every year. Since the Lord was discovered by the primitive 'Sabaras', tribal women make sweets to offer the deities as Bhog every day. During the car festival, the tribals serve jackfruits and pineapple as Bhog. Lord Jagannath's tribal connection is evident from the fact that during his 15-day Anasara (confinement) before the car festival when he suffers from a bout of fever and evades devotees, the only people allowed to worship him are the Dalitas, the decedents of the tribal king Biswabasu. Since only the closest family members are allowed to attend on an ailing person, it is more than clear that the Lord has a strong tribal link. Management committee of Sabara Srikhetra sends special invitations to the tribal leaders of various villages before the Rath Yatra begins. The system of invitation is done by sending Supari (guaa). The tribals reach the temple in advance and take up their responsibility. On behalf of the temple managing body tribal chiefs of different villages are felicitated on the car festival day by presentations of a Sirpa (headgear). It is originated from the tribal culture, and it has no antagonism towards any religion, caste or creed, Practice of tolerance in the real life of the individual and the society wedded to this ideal, is one piece used in the cult. This is practiced at Sabarasrikhetra in letter and spirit. Everybody has free access to this shrine, which virtually demonstrates the very concept of Jagannath consciousness having tribal bias.